Combine cake mix, water, oil and eggs. Follow the directions on the box to mix batter and bake in mini muffin tins sprayed with non-stick baking spray. 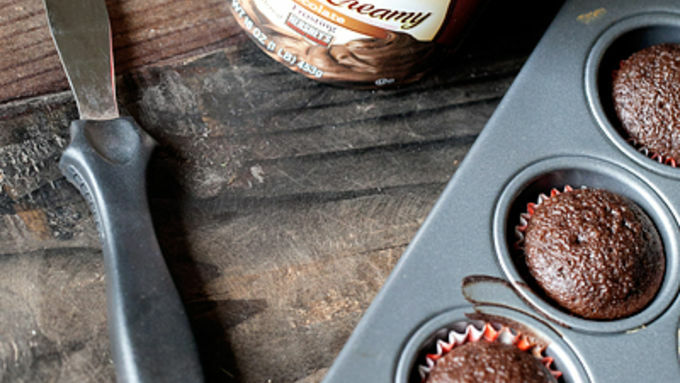 Remove cupcakes from oven to a cooling rack and allow to cool completely before proceeding. 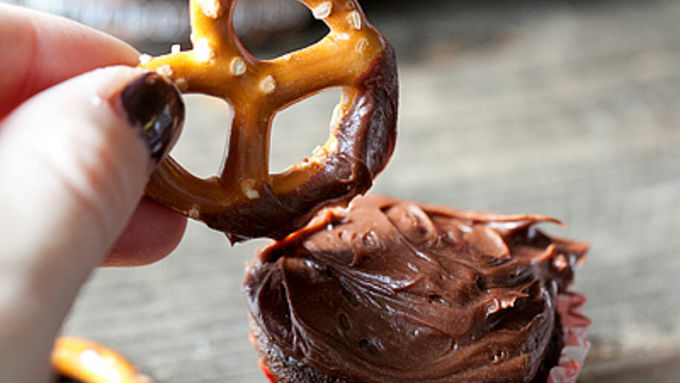 Frost each mini cupcake top with the whipped chocolate frosting. 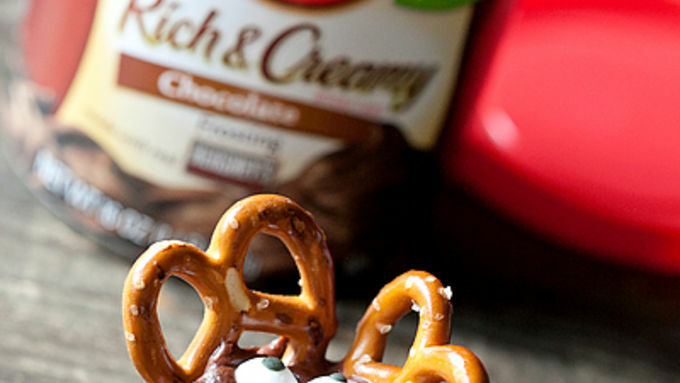 Dip two mini pretzels in frosting, then place them on the cupcake in the antler positions. Push them in so they will stay upright. Add two candy eyes and one coated candy piece for the nose. Continue with remaining cupcakes. 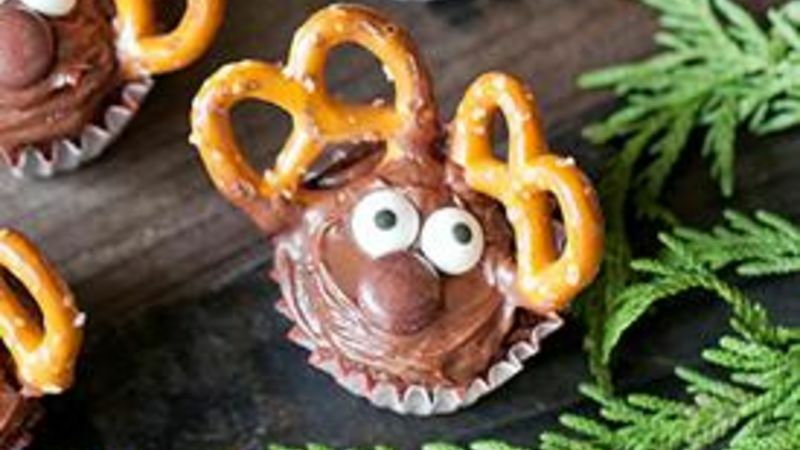 Using mini pretzels, little candy eyes and noses, you can create these adorable Mini Reindeer Cupcakes that will give Santa a good belly laugh this season! Dasher, is that you? These are the most adorable and charming Mini Reindeer Cupcakes for the holidays. They're so fun to do with your kids! Bring these cupcakes to your office celebration or holiday party and watch the reaction. These cupcakes are super easy. Seriously super easy. Serve on a platter and they're ready to wow Santa or your holiday guests!